The ByAnnie Ultimate Travel Bag, the Executive Carryall 2.0 (the lap top bag), and the Messenger Bag are gorgeous AND useful bags. Laurie calls this her "Bag 101 Class". It's a great place for beginning bag makers to start. These beautiful bags are very useful. It's hard to make just one! Come and learn how to quilt your quilts in your embroidery hoop! You will be able to do precise designs that connect and look very professional. You will need the original, introductory book for this beginning class even if you have additional Edge-to-Edge designs. Whether you're just learning to free motion, or you'd like to go to the next step, this is the class for you! Kimberbell 2 day event, Sewin' with my Gnomies. Five cute projects will be created over the two day event. Lunch will be provided each day. This is a one day event with three cute, adorable in the hoop projects. Everything, including lunch, is provided. You only need to bring your machine and threads! We are having a Tea Party! In just two days, you'll make six exclusive projects to decorate for your own tea party or to share. This open sewing session is a great place to get help with your project, assistance with prep for a bag class, or just to enjoy the company of other quilters. Starting May, we will be doing "Oh the Possibilities for Spring". This is a continuing wall hanging from Kimberbell. This will require the Kimberbell CD & Book. Come and bring your embroidery machine and finish up your projects...or start a new one! Cheryl will have projects available. It's up to you! Come in and machine embroider with Cheryl. This is an open sew class and available for anyone who wants extra help with their projects. In This Beginning Quilting 101 class, you will learn the basics of quilting! The Beginning Quilting 102 class takes you to another level from the 101 class. We will be making half square triangles (HST). 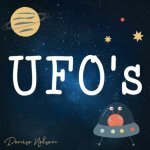 Do you have PhD's in PIGS (Projects in Grocery Sacks) that are on your UFO list? Well, then dig them out, bring them in, get them finished and off your UFO list. 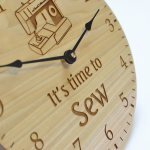 Open Sew Class can help you finish or get help with your projects. Peggy can help you with piecing, bag making, paper piecing, and even clothing construction. PLEASE do not do anything prior to class. During this class you will learn how to size your squares from your t-shirt. You can choose to make either the Boxy, Tool or Cute Totes in this class. While there are LOTS of pieces, Laurie can help you create these wonderful bags! This bag will help you keep your quilting tools organized for years to come...and in style! Want to have fun and learn at the same time? Come to this class and Pam will help you with any type of quilt or embroidery project you need to work on. Looking for a wallet that has enough room to hold your checkbook, or even your phone? This is the one for you!